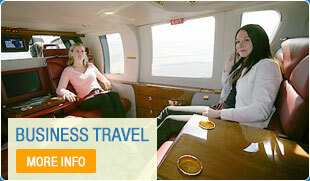 The ease and convenience of helicopter flight is best realised when travelling to the Continent, especially France. Paris is within easy reach for most of the UK and you don’t necessarily have to depart from an airport as the helicopter can come to you. If we are not able to land directly at your preferred departure point, typically we can locate alternatives within an easy 10-minute drive. Flight time from London to Paris is approximately 1 hour 35 minutes. Immigration must be cleared at the first landing point when entering the country – a designated customs authorised airfield / airport. All passengers must carry a passport, the details of which must be provided to the operator prior to departure. Private landing sites at hotels, Chateaux or race courses can be authorised subject to permission from the local Mayor’s office. One consideration the Operations Team need to bear in mind is passenger and luggage weights, the combination of which during some longer distances within France may require a technical stop on route for fuel. For direct flights to Paris from London, a combined passenger and luggage load of 350KG’s would enable us to fly directly without a technical stop. A recent charter performed by Atlas Helicopters was to Chateau de Voissins, departing from Oxfordshire. South-west of Paris and close to Versailles, this flight required a short technical stop for fuel at Le Touquet Airport. Whilst the helicopter was refuelled, the clients cleared immigration and within 15-minutes we were on our way to the South West of Paris, landing directly in the grounds of the chateau. If you would like to charter a helicopter to France, Belgium or the Channel Islands, or even play a round of golf at the next Ryder Cup venue Le Golf National, please contact our friendly Operations teams who will organise your whole itinerary.